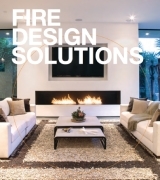 Are EcoSmart Fires easy to install? EcoSmart Fires are designed to be easily installed and operated. 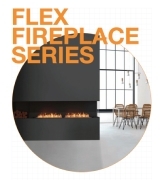 Without the need for a flue or pipe connection, EcoSmart Fires are extremely flexible and can be incorporated at any stage of your interior decorating, renovating or building works. For detailed specifications please contact your local distributor. All EcoSmart Fires Fireplace Inserts are designed to be easily installed and come with a simple set of instructions. The Freestanding and Outdoor ranges are easy enough to set up on your own. A builder, contractor, or cabinetmaker of your choosing will be able to complete your firebox insert project with straightforward framing. Our Fireplace Grates range provides the simplest conversion solution and can be installed as long as utilities have been shut off and the fireplace meets our clearance requirements. Installation is little more than placing the grate in your fireplace and closing the flue. Once that is done, you are ready to light your EcoSmart fire. There is virtually no assembly. Our Freestanding and Fireplace Grates ranges are designed to be placed into the desired location, secured into position, and operated immediately. Our Fireplace Inserts are designed to slot into place, secured and built around with your preferred finish – again a quick and easy installation – so your builder or interior designer will love you! The longest part of the setup process is trying to figure out where you want to place it – be sure it complies with our clearance requirements particularly with regard to moving objects like curtains, tree branches and so forth. Can EcoSmart Fires be installed everywhere? Almost everywhere! EcoSmart Fires cannot be installed into small rooms that are less than our minimum room size which is burner specific. For all other installations, you must comply with our compulsory clearances and installation instructions. Approval from building authorities may be required prior to installation in your area. Please make sure you contact appropriate parties before installing your EcoSmart Fire. Can I install a Fireplace Insert into my existing fireplace? EcoSmart’s Fireplace Inserts are mostly used for new construction when an entirely new fireplace is desired for a given space. They are not designed for the conversion or remodelling of an existing masonry or gas fireplace but could be used if dimensions align. To convert an existing fireplace we recommend using our Fireplace Grates or Ethanol Burners as noted above. Ensure that the flue has been closed off and the relevant suppliers have officially detached all connections to utilities. I want a linear flame - what burners can achieve this? EcoSmart’s XL500, XL700, and XL900 burners are all linear flame burners that can be installed into a variety of ways, including side by side. The size and number of burners you can install depends on the clearances available. Speaking with one of our Product Specialists can help you narrow down which burner is best for your project. Can I extinguish the fireplace before the fuel has burnt? Yes, you can turn your EcoSmart Fire burner off at any given time, even if there is ethanol still left in the burner. It is recommended however, that you leave it to burn until it completely runs out. The shut off mechanism is there for security and safety for those times when you need to leave the house, as it is not safe to leave a fire unattended. Please wait 60 minutes before relighting the ethanol after extinguishing it to let the ethanol cool. Built up vapours may cause a strong, initial ignition if the ethanol has not cooled long enough. For all other brands refer to the manufacturers instructions. I spilled some e-NRG. What is the safest way to clean it up? Bioethanol can be wiped up with either a paper or cloth towel. Paper towels can be disposed of in regular trash bins. Though not toxic, it is recommended that you wash hands immediately after coming into contact with e-NRG. Which EcoSmart Fire is right for me? Ethanol Burners - Our Ethanol Burners are at the heart of every EcoSmart Fire. They are both the containers of the clean-burning bioethanol and the source of the flame. Completely self-contained, the burners have no need for exterior tanks or utility lines and their stainless steel bodies make them suitable for both interior and exterior use. The XL burners offer a linear flame while the BK5 burner has a substantial and adjustable flame housed in a compact body. EcoSmart’s AB Series offers a round burner ideal for fire pits or other circular fireplace designs. 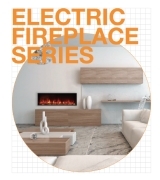 Fireplace Inserts - Fireplace Inserts are stainless steel enclosures that house EcoSmart’s burners. They can be installed into walls or cabinets and, just like the burners, are suitable for indoor and outdoor use. All of our fireboxes are zero clearance, meaning that the dimensions of the firebox are the exact dimensions of the opening you’ll need in your wall. The fireboxes, like all our products, are vent free and its zero clearance dimensions mean installation is hassle free. Freestanding Fireplaces - Created as standalone units, the models in our Design Fireplaces range require little set up and no installation. These units are completely self-contained and offer the same clean burning flame as our fireplace inserts without any of the installation requirements. Used as a room centrepiece or even as a space divider, Design Fireplaces offer the luxury of fire without any of the restrictions. You can even move the units from room to room as your fire needs change. Fireplace Grates - Fireplace Grates allow you to convert your pre-existing wood or gas fireplace into a clean burning ethanol one. Simply place the burner, which is encased in a black powder coated grate, into your fireplace, fill with ethanol, and light. It’s that simple. If you have a gas line, we do require it to be shut off for safety. Other than that, you are ready to enjoy a clean-burning and installation-free ethanol fire. Outdoor Fireplaces - Whether used on a table top or as glowing ambience set along a pathway, EcoSmart’s Outdoor Fireplaces offer a wide range of stylish fire feature options. Made of steel and glass, the outdoor units are designed and built to withstand the outdoors. Though styled for outdoor use, they are just as attractive when used in an interior setting, enabling them to be relocated when the weather permits. Every season is a good season to enjoy EcoSmart Fire. All our products are highly versatile and designed to be used in any number of ways with a myriad of materials. There are, of course, safety considerations when working with fire and we do have minimum clearance and room size requirements, as well as material requirements, which can be found within each product's Technical Specifications. Still not sure which EcoSmart Fire is right for you? Give us a call and one of our product specialists will be happy to help. Can I use the Outdoor Collection indoors? Yes. EcoSmart’s Outdoor Fireplaces use the same clean burning fuel and high quality burners as its indoor products. 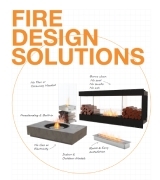 Conversely, our entire built-in fireplace inserts and ethanol burners can be installed in custom outdoor settings. Will my EcoSmart Fire heat the room? All EcoSmart Fires are ventless, meaning all the heat stays in the room rather than escaping up a flue. Increased heat retention means increased fuel efficiency and a better chance of staying warm. While providing warmth, EcoSmart Fires are not designed to be used as a room’s primary heat source. Please see the burner section in our manual for full details. Do I need to service my product in any way? Yes, normal maintenance and care is very important! Instructions are included in the Installation, Operating and Maintenance Manual supplied with your product. How do I clean my EcoSmart Fire burner? Cleaning of the burner should be done only after you have used 50 litres of fuel or as soon as you notice a black residue forming around or on the burner. Before starting, make sure the burner is off, empty of ethanol, and at room temperature. Spray a multi-purpose cleaner on the surface of the burner and wipe with cloth, making sure to wipe in the direction of the grain. If material has fallen into the burner use a vacuum cleaner to remove debris through the burner opening. If your burner smells unusually strong after extensive use, remove the empty and room temperature burner from its surround and wash in hot, soapy water. Rinse thoroughly under running water and wait until burner is completely dry before placing back into its surround and reusing. Note: Stainless steel will rust or corrode over time if contamination or debris is not cleaned or removed immediately. When not in use, we recommend that you protect your fireplace from water damage or corrosion with a protective cover and the regular use the burner lid included with your model. Can other ethanol brands be used in place of e-NRG? e-NRG is the only recommended fuel for use in EcoSmart Fires and use of other fuel brands will void the warranty. We have not worked with or tested other ethanol brands in conjunction with our burners and cannot speak to their performance or safety. Other brands can also leave residue or unsightly staining, and no one wants a dirty burner. Is e-NRG safe to be stored inside? Ethanol is a stable liquid that is safe to store indoors as long as it is kept away from an open flame. It is also safe to be kept in garages, utility rooms or other outdoor storage areas without any risk. In accordance with various global regulations, ethanol (100% alcohol) cannot be sold in its purest form to avoid human consumption. A bittering agent is added to the formula to prevent ingestion. Is e-NRG safe to store in my home or workspace? Yes. e-NRG is a stable fuel source and will not pose any safety threat as long as it is stored away from an open flame. Can I roast marshmallows or perform other cooking procedures over the fire? e-NRG has been formulated and tested for burning purposes only. EcoSmart does not condone e-NRG to be used for any purpose other than for recommended use within our burners. Is it required that I use a jerry can to operate e-NRG or can I pour e-NRG directly into the burner? Yes, we provide jerry cans, lighting rods and lighters with every burner because we want you to have the highest quality and safest experience possible when using our products. The jerry can ensures that you don’t splash ethanol when pouring or overfill the burner. If you add the adaptor to the e-NRG bottle the Safety Spout can be connected to the bottle - only then can you use the e-NRG bottle to fill the burner. Filling from the bottle without an attached safety spout can result in serious injury. Is e-NRG ethanol the same as gel fuel? Can I use gel fuel in my fire? e-NRG is a liquid fuel and is NOT the same as gel fuels. Gel fuels have added thickening agents that can reduce the heat output and fuel efficiency. It can also leave sticky residue in the burner, which will eventually affect safe operation. Gel fuels are used only on burners specifically designed to use them. EcoSmart Fires are designed and manufactured to burn only e-NRG liquid ethanol. Other fuels, especially gels, are not recommended. In fact, the use of brands other than e-NRG voids the burner’s warranty. Bioethanol has substances added to it in order for it to be labelled ‘de-natured’. The burning of these substances may cause a slight smell upon initial lighting and will dissipate with time. There is also a slight odour once the flame is extinguished – similar to when you blow out a candle. This also dissipates into the air. Does e-NRG burn yellow or blue? e-NRG is formulated to consistently burn its signature bright orange colour so you get maximum enjoyment out of your e-NRG burning fireplace. What are the burn times and cost per hour for a quart/gallon? Burn times and costs per hour vary by burner and condition of installation. For accurate burn times based on your installation type, please contact EcoSmart on (888) 670 3674. Is this the same ethanol I can buy at gas stations? No. The ethanol sold at gas stations is in no way similar to e-NRG. In the rare occurrence that a product arrives damaged, please contact our Customer Support Team via [email protected] or call us at +1 (888) 590-3335 within 7 days of receipt of your delivery. After the 7 day period, the product cannot be reported as damaged due to the limitations imposed by the carriers shipping the products. Please inspect your items at the time of delivery, note any damage to the packaging or items on the delivery receipt, and contact us as quickly as possible so we can resolve for you. What does warranty actually cover? We offer a full two year warranty from date of purchase on stainless steel parts including raw, linished and powder coated. Mild steel including powder coated and chrome plated, concrete composite, glass, leather, fabric and MDF (painted or cement rendered) are covered for one year from the date of purchase. You will need to provide proof of purchase along with a description and images of the issue. Once you’ve gathered this information, please email all details to [email protected] Your claim will be reviewed within 7 days and you will be contacted with a decision and the next steps, if applicable. If I purchased from a retailer, can I contact EcoSmart Inc directly for warranty? It is best to contact the retailer where you made your purchase. The retailer will help you resolve the issue or submit the warranty claim on your behalf. What if I have modified the product? If the product has been modified or altered in any way, it will not be covered under warranty unless the modifications were approved in writing by EcoSmart Inc or The Fire Company Pty Ltd. However, we are happy to provide assistance with any issues you are experiencing. Can I return my product without the original box and accessories? In order to be fully covered under warranty, the product must be returned in its original packaging with accessories. If any items are missing, or if replacement packaging must be provided, the associated costs will be deducted from the credit or refund. What happens if my product fails after the official warranty period? Please contact us at +1 (888) 590-3335 or via email at [email protected] for advice and troubleshooting. If you purchased from a retailer, please contact the retailer directly. Payment is needed to finalize your order. You’ll be able to provide your credit card information during online checkout. Once you have received confirmation that your order has been shipped please allow 1-7 business days for transportation of your order. Hazardous flammable materials (HAZMAT) require special handling, so please remember that your delivery will take just a little longer than normal deliveries. In accordance with regulations, all deliveries must be via ground only (air transport is not permitted). Delivery generally will be through either FedEx or R+L Carriers. Tracking information will be provided to you via email at the time of dispatch confirmation. Should an item be out of stock we will contact you via telephone or email to confirm. Please note that we can only deliver within the continental United States. Standard shipping is to the door only, Monday to Friday, unless otherwise specified on the order. Additional charges may apply if the delivery address is changed after the order has shipped, if specific delivery dates are requested, or if the delivery company is required to make multiple delivery attempts. Warehouse Will Call is available at no charge from our warehouse located in Los Angeles, CA (90220) or from our showroom located at 5870 W. Jefferson Blvd, Suite L Los Angeles, CA 90016. Please contact Customer Support at 888-670-ENRG to schedule your pick up at least 24 hours in advance. Will e-NRG ship with my EcoSmart Fire? e-NRG ships separately from our St. Louis warehouse. If your order includes e-NRG and EcoSmart Fire, you will receive a separate confirmation for e-NRG. We do our best to closely align the delivery of each shipment so you can begin using your EcoSmart Fire immediately. My order hasn’t shipped yet. Can I make a change? Orders can be altered or changed up to 24 hours prior to the scheduled ship date. Please contact us as quickly as possible at +1 (888) 590-3335 for further assistance. Online ordering is available only in the United States and Canada. Shipping is free unless otherwise noted. If shipping to Hawaii, Alaska, Yukon Territory, Northwest Territories, Nunavut, and Newfoundland, please contact us for a custom shipping quote. If you are located in Mexico, Central or South America, we’d be happy to assist you and your purchase by phone. Please contact us at +1 (888) 590-3335. Can the driver call me 30 minutes prior to delivery? Drivers are unable to call 30 minutes prior to delivery, but you can track the status of your FedEx deliveries online and freight carriers will call in advance to schedule a delivery appointment. What happens if I am not home to receive the order? If you are not home to receive the order, a delivery attempt notice will be left on your door. You are able to contact the delivery company to arrange for re-delivery. Please note multiple delivery attempts or delayed deliveries may incur additional charges. What should I do if there is an item missing from my order? If any items or parts are missing from your order, please contact our Customer Support Team via [email protected] or call us at +1 (888) 590-3335 within 7 days of receipt of your delivery. After the 7 day period, items cannot be reported as missing due to the limitations imposed by the carriers shipping the products. our team of fire specialists will get back to you.